The dedicated electro-hydraulic Rexroth (the brand can be designated according to the demand of customers) internal tooth pump is adopted by Estun SVP system for double closed-loop control of pressure and flow; the system pressure is fed back to the servo driver through pressure sensor; the permanent magnet synchronous motor is driven by output flow directive adjusted by PQ control algorithm; function on demand is realized through stepless speed regulation and pressure regulation of the motor. The product is of the features such as high energy saving, rapid response, high precision and low noise. 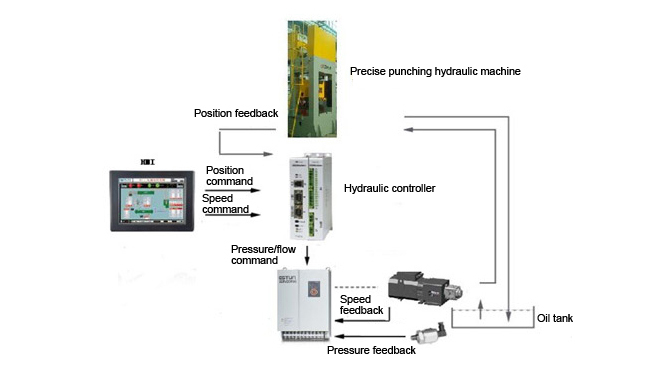 DSVP is a systematic product with the integrated design of motion controller, servo motor, hydraulic cylinder, hydraulic pump, valve group, etc. 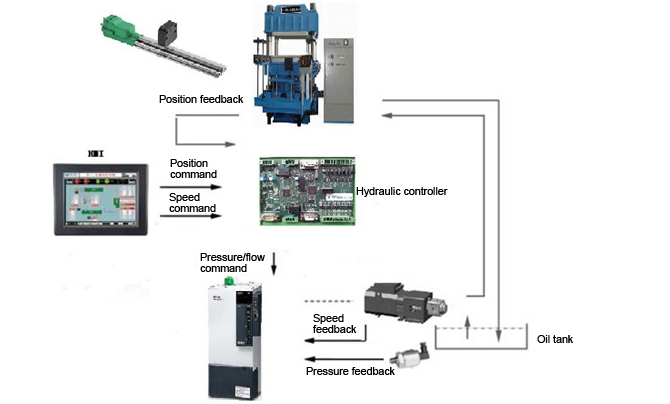 The forward and reverse motion of Rexroth bi-directional plunger piston is driven by high-precision alternating current servo and the whole closed-loop control and multi-cylinder synchronous control of pressure, flow and position are realized combined with advanced synchronous compensation algorithm; the product is of complete intellectual property and advanced technology.